← Hey This Sounds Important: NERT Training begins in the Inner Sunset in October! California Academy of Science Free Days This Weekend! I’ve been rather busy with work this week, so much so I can’t post as much as I want. 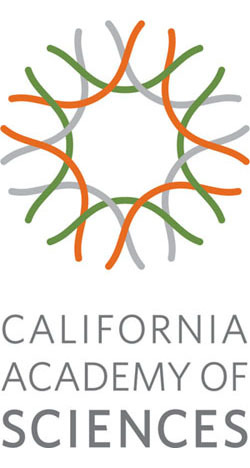 But I wanted to make sure everyone knew about this great piece of news – the California Academy of Science will be FREE to anyone in the 94122, 94116, 94127, and 94132 zip codes Sept. 11-13. This is part of the Academy’s ongoing series of free weekends, each time focusing on a few ZIP codes in San Francisco. Follow the link to check for eligibility requirements – you have to have ID or something else that simply proves you are indeed a resident of said ZIP codes. Enjoy! Also, here’s a fun fact – the guy who designed the logo for the Academy is also the guy who designed the logo for the recently departed Culture Bus. No kidding! This entry was posted in Guides, Museums and Parks, Urban Life and Culture. Bookmark the permalink. 3 Responses to California Academy of Science Free Days This Weekend! Thank you so much for this post about the free day at the Academy! I never would have known about it without your post. Just one more reason why I follow The N-Judah Chronicles religiously! hey thanks! it’s been kind of a stressful week with work and stuff and I haven’t been able to post like I wanted, heck I missed out on the minor accident on the N just outside my home this morning…so thanks for the kind words! Also want to let you know I appreciate this post. My neighborhood is up next weekend, and I will be in town for a change to take advantage of it! Yay.